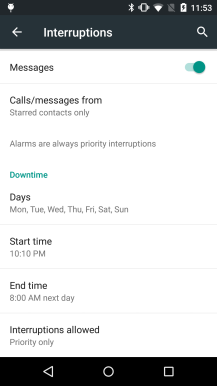 Android 5.0 introduced recurring downtime as part of the new notification control scheme, and Android 5.1 brings an important enhancement to this system. 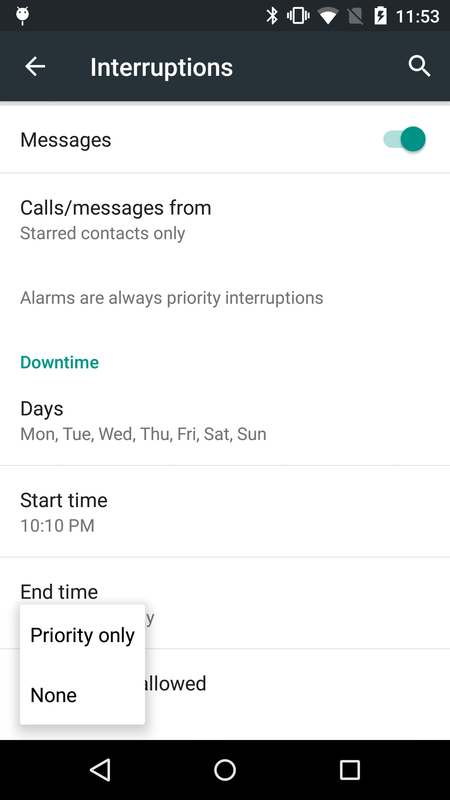 You can now choose whether you want programmed downtime to trigger priority mode or block all notifications. It's all right there in the downtime settings, which you still have to dig for. 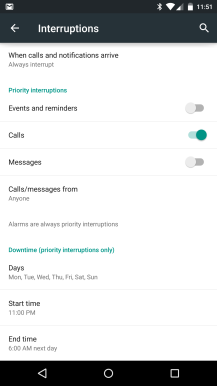 The menu you're looking for is in Settings > Sound & Notifications > Interruptions. At the bottom is the Downtime section. 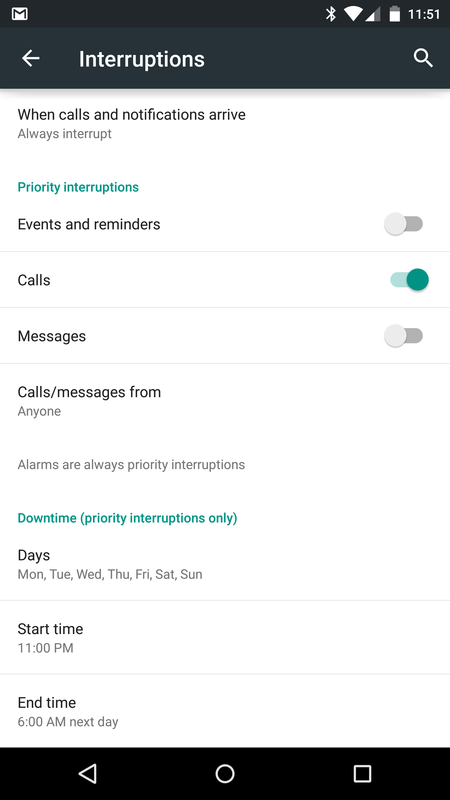 At the very bottom of that is the new option for setting the type of interruptions allowed—you can choose none or priority. This menu is also accessible by tapping the gear icon in the volume interruption popup. 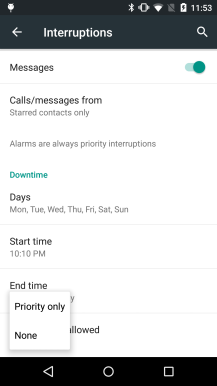 There are still settings to control which interruptions are priority and which are not. 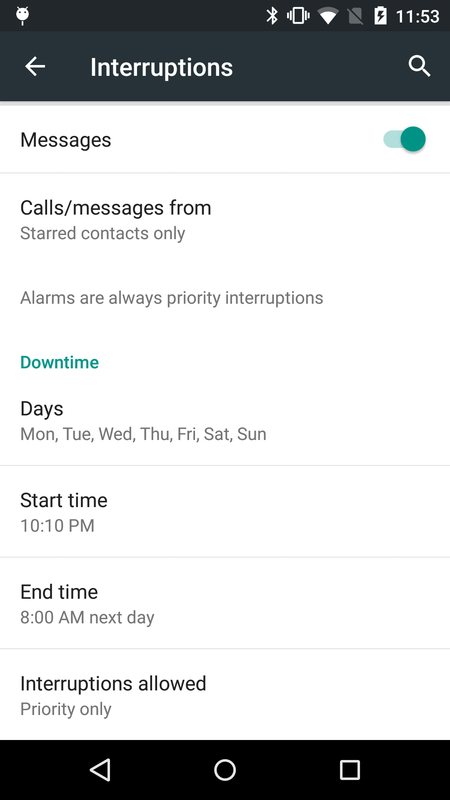 This allows you to actually use the granularity of priority mode to filter notifications on the lock screen and during other times of the day. 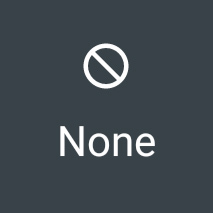 The none option can be reserved for night time when you need to sleep uninterrupted.